Rescheduling of first reporting date from March 31st, 2018 to September 30th, 2018. Back in 2014, ECB presented a roadmap for further developing micro and macro prudential supervision in the Eurosystem based on granular credit data in reporting within the introduction of the Single Supervisory Mechanism (SSM) and findings from the Supervisory Risk Assessment (SRA) as well as the Asset Quality Review (AQR). EU-member states which are not part of the Eurosystem are invited to participate. For example Danemark and Sweden initiated activities to create similar databases. 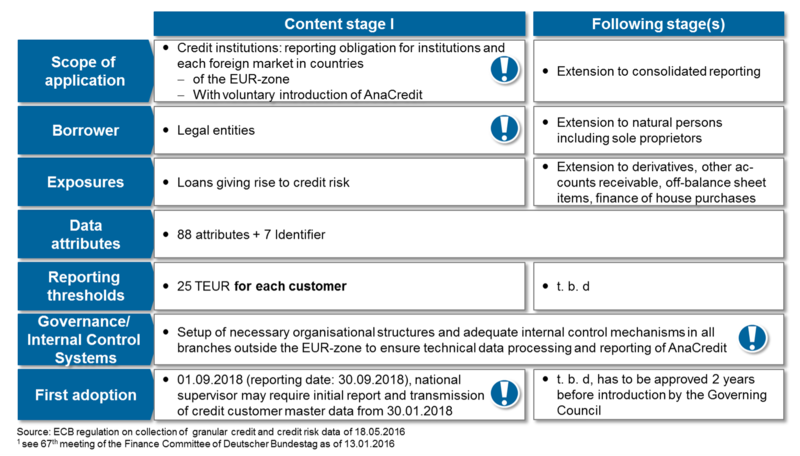 ECB developed a roadmap of how to develop a credit register in the Eurosystem by developing and harmonizing the credit registers—implemented in Germany via the large-scale loan reporting by 2018. ECB aims to establish central credit register for all member states in the euro area by the end of 2018 (initial plans where 2016), based on a variety of granular credit data and a low reporting threshold. The granular credit data is to support the collection of information about loans and credit risks of credit institutions located in Euro area, foreign branches of euro area credit institutions including those not resident in Euro area and foreign branches located in the Euro area that are part of credit institutions outside the Euro area. Other institutions of borrowers may be included in a subsequent stage. The regulation included 88 credit-, creditrisk-, and accounting-attributes (the November draft comprised 94 attributes) as well as 7 identifiers; however, the national competent authorities may require additional, country-specific attributes. The reporting scheme is based on a loan-by-loan approach which requires the reporting for each individual loan. Beside a slight adjustment of the attributes (7 have been removed, 2 newly added), the final regulation contains 42 attributes with a changed definition (e.g. different values or improved definition). The reporting scheme shows that institutions have to consider a large amount of granular credit data at the level of individual loans for reports to the credit register. Furthermore, institutions may be forced to collect and describe additional data to fulfill the reporting requirements as long as those are not yet available in sources or data models on the required granular level (e.g. number of employees, annual turnover, asset encumbrance). 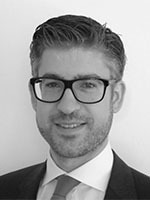 The reporting threshold of EUR 25 k will increase the number of borrowers and loans currently covered by the reporting obligations in Germany (current reporting threshold at EUR 1 million, cf. German Banking Act (KWG) sect. 14 in conjunction with sect. 64r) and Austria (current threshold at EUR 350 k, cf. Central Credit Register Reporting Regulation (ZKRM-V) in conjunction with sect. 75 of the Austrian Banking Act (BWG)). In countries where no credit register exists, a comprehensive new implementation is required. The specifically lower reporting threshold of € 100 for non-performing exposures has been removed; instead reporting threshold of 25 TEUR applies to the whole exposures per customer. The discussed implementation in subsequent stages is not as detailed reflected as in previous draft versions. A clear schedule is only given for the first stage in which credit institutions according to CRR as well as their foreign branches in a reporting member state on individual level are required to report loans to legal entities. The introduction of a consolidated reporting as well as an expansion to retail loans that were previously discussed is not detailed yet, however, the draft regulation includes some aspects as outlook for a further development in the future. Beside, institutions are required to develop organizational structures and control mechanisms also for those foreign branches not residing in a reporting member state. A further expansion of the reporting is subject to a decision by the governing council, which shall be taken two years prior to the implementation of additional stages. NCB’s are required to transmit a test reporting to ECB six month prior to the first complete reporting on September 30th, 2018. Furthermore NCB may introduce an earlier reporting, however, the first reporting should not be based on a reporting date prior to December 31st, 2017. Currently it is expected, that German reporting agents may be required to report customer master data already in spring 2018 to Bundesbank followed by a complete reporting in summer 2018. The regulation defines the opportunity for NCB’s to grant specific reporting derogations to small reporting agents. In December 2015 a threshold of EUR 330 million for total assets has been discussed in Germany. However, a final decision is still pending. The final regulation includes a new option for NCB’s to grant simplified reporting for smaller reporting agents for a transitional period until January 1st, 2021.The simplification is the reporting on a quarterly basis instead of a monthly reporting. Due to these options, a close dialogue with the relevant NCB is recommended to identify specific requirements and derogations at an early stage. Especially credit institutions that have foreign branches within the Euro area will face the challenge to comply with all specific requirements. Bundesbank has announced already back in 2014, to postpone changes in large scale reporting that were planned for 2015 in order to reduce the effort for banks. Besides, the large scale reporting is expected to remain further to AnaCredit. The determination of the reporting dates is subject to decision of NCB. For the reporting of customer master data Bundesbank aims to receive the data on bank day two (ten for foreign branches) following the reporting date. Attributes subject to monthly reporting are expected on bank day six (15 for foreign branches) and quarterly reporting by bank day 30. This will lead to a synchronization with Corep/Finrep. The short reporting deadlines increase the need for efficient reporting processes as well as high data quality and a reduction of any inconsistency. The clarification of the final regulation regarding the exclusion of loans to households and residential mortgages led to a intention of Bundesbank to introduce a reporting system for residential mortgages which is expected to be aligned with AnaCredit requirements. This will be a specific challenge for banks with a strong focus on mortgage lending. The adoption of the regulation provides clarity and enables institutions to initiate implementation activities. The identification of need for action and development of a target picture are the central questions that should be addressed early on. Are all attributes available in a sufficient granularity and quality? Are the requirements already incorporated in existing data models? 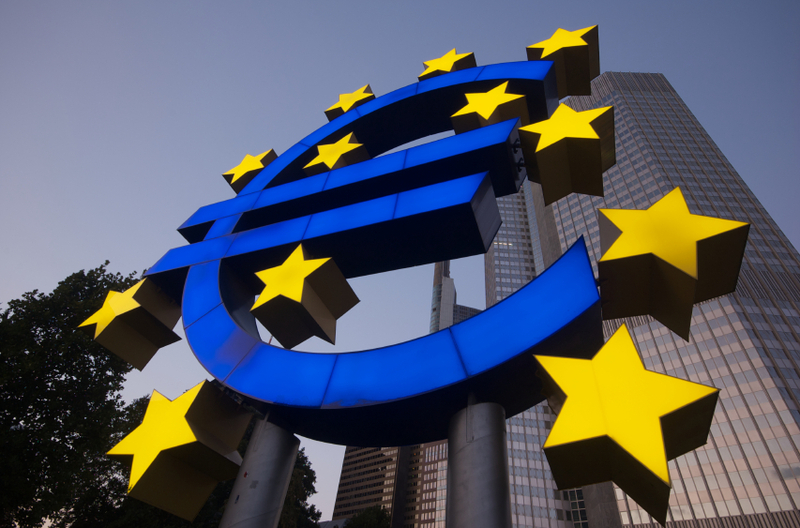 Is the current data model sufficient to capture the ECB requirements? Can the current reporting architecture from IT systems and reporting processes cope with a significantly increased reporting scope due to the reduced reporting threshold? Are there any other regulatory driven implementation activities that may impact the AnaCredit implementation? A close dialogue and exchange with simultaneously running projects in regulatory reporting and integrated bank steering, implementation of risk data aggregation / BCBS #239 and stabilization COREP/FINREP as well as implementation of IFRS 9 is advisable in order to identify shared dependencies and potential synergies for the efficient implementation. In the context of the Single Supervisory Mechanism (SSM), AnaCredit will be the first step to establish a harmonized statistical reporting framework within the Euro Area. Currently ECB discusses further steps for the establishment of the European Reporting Framework. In autumn 2015 there have been workshops at ECB with participation of the financial industry; first results of this work are expected already for 2016 aiming at a harmonization and further development of the European Regulatory Reporting. Thanks for the article. I have a question: Do you know where I can find the evidence of the 175 data? If you have further questions do not hesitate do contact me. what is the current state of discussion regarding this project? 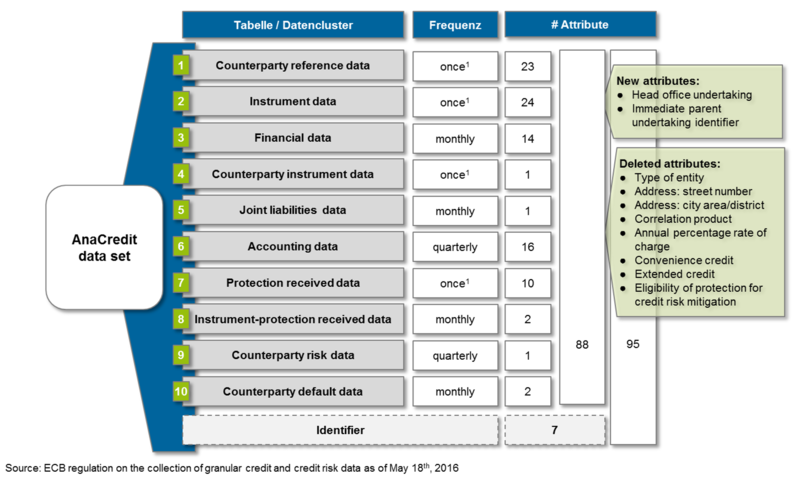 the Governing Council approved in principle a draft ECB Regulation on the collection of granular credit and credit risk data (“AnaCredit”) last week (18.11.2015). A final decision on the adoption of the draft Regulation will be reached only after the Governing Council has been informed of the estimates related to the relevant IT project. ECB will publish the draft Regulation and the annexes on the ECB’s website in a few days. Do you have a link to the ECB website which is the best place for legislative updates on AnaCredit? ECB published today the draft version of AnaCredit. I just wanted to know what kind of reports does ANA credit expects from Banks. Does it has any specific format? ECB has not yet ruled any reporting formats. ECB will not publish a specific format for Anacredit reporting specifically directed to the Banks, like all other statistical schemes already in place within the Eurosystem. 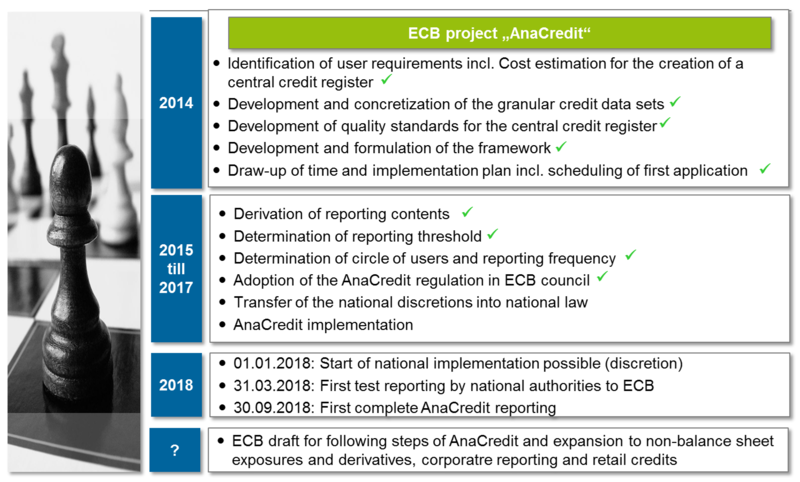 Anacredit reporting will be exchanged between each single Eurozone National Authority and ECB, using current Eurosystem statistical framework. Banks have to report Anacredit templates towards their own National Authority, using their specific national schemes. These national schemes will be, of course, more or less deeply updated in order to take in consideration Anacredit requirements. 1. Will the delivery of these data elements be included in the ANA credit delivery for mortgages in the future. 2. If so, is it to be expected that the delivery of the Loan Level Data be replaced (in the long run) And could you perhaps say something about the planning. 1) How banks are going to submit these data sets? 2) Is there any framework like Data point model or XBRL present already? 3) Is there any similar system in place? which bank? How a central banking supervision collect data for basel 2 capital adequacy reporting from banks . in which format data is transmitted ? at what level data is collected ? is there any implementation of a detailed data definition sets (collection of attributes) in a single list excel format or other technology . Do you know where I can find the latest version?